Apple shares have hit an all-time high, topping $300 a share, compared with a measly $28 a share ten years ago. 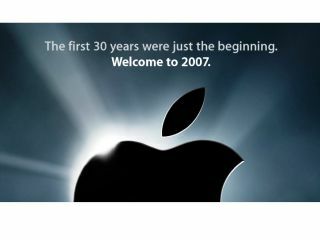 2000 was also the year that a Mr Steve Jobs returned to the Apple fold as CEO. Nobody can now doubt that Jobs' particular style of leadership has been largely responsible for the company's huge successes over the past decade. The leap in the share price represents a golden year for Apple, following the hugely successful launch of (and PR triumph that has been) the iPad, followed by the launch of the new iPhone 4. To top this off, Apple has also announced a Mac-focused 'Back to the Mac' press event later this very month, on 20th October. Expect rampant speculation online over the coming weeks as to what the next computers out of Cupertino will be capable of, in the run-up to that event. We expect to see the Apple iPad 2 arriving at some point early in 2011, following a slew of Android-powered tablet PCs from a number of other manufacturers due to hit the market late 2010. Our only real regret on hearing the latest all-time value of Apple shares? That we didn't snap up a load of Apple stock back in 2000 a those bargain-bucket prices!